Designed to disrupt the status quo and shape a new future for classroom learning, with video! Named after the Lumière brothers, who pioneered early motion-picture cameras and how we know film today, LumieLabs brings the Lumière’s spirit of storytelling, innovation, and invention into the hands of educators and students around the world. LumieLabs, Britannica’s K-12 video-creation platform promotes media literacy, inquiry, curiosity, creativity, and collaboration. It harnesses students’ natural engagement with video and brings curriculum-relevant digital storytelling and video-creation projects into classrooms. Pre-built video lessons, tied to specific learning objectives, empower educators to leverage students’ passion for classroom learning. LumieLabs uses video creation and digital storytelling to harness students’ passion and natural engagement with media and bring it into the classroom. It helps them become skilled collaborators, communicators, and media-savvy consumers with enhanced critical-thinking skills. Its simple interface, robust library of curriculum-supporting content, and classroom management tools enable schools to empower the next generation of learners to thrive in a media-centric world. Find out more about LumieLabs by watching the video below. Students who use LumieLabs develop deeper content knowledge, increasing their subject-area comprehension, retention, and mastery. Featuring millions of royalty free clips, simple cloud based editing, secure video hosting and sharing, and student assignment functionality, LumieLabs has been adopted by educational facilities, educators and students across 10 different countries. 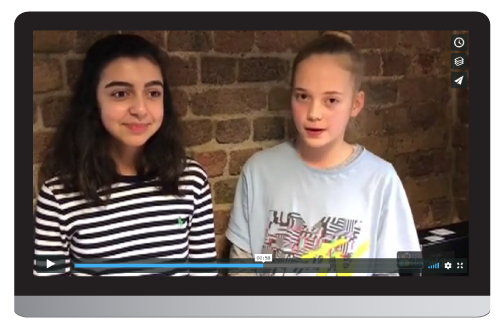 We recently invited students from Sutton High School to try LumieLabs for themselves, you can watch the video below to find out what they loved about it. 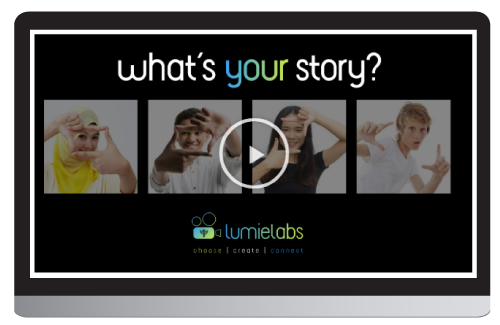 You can find out much more about LumieLabs by visiting LumieLabs.com – or just click below and one of our team will be in touch to show you this fantastic new resource and to talk to you about how you can leverage the power of video in your classrooms.